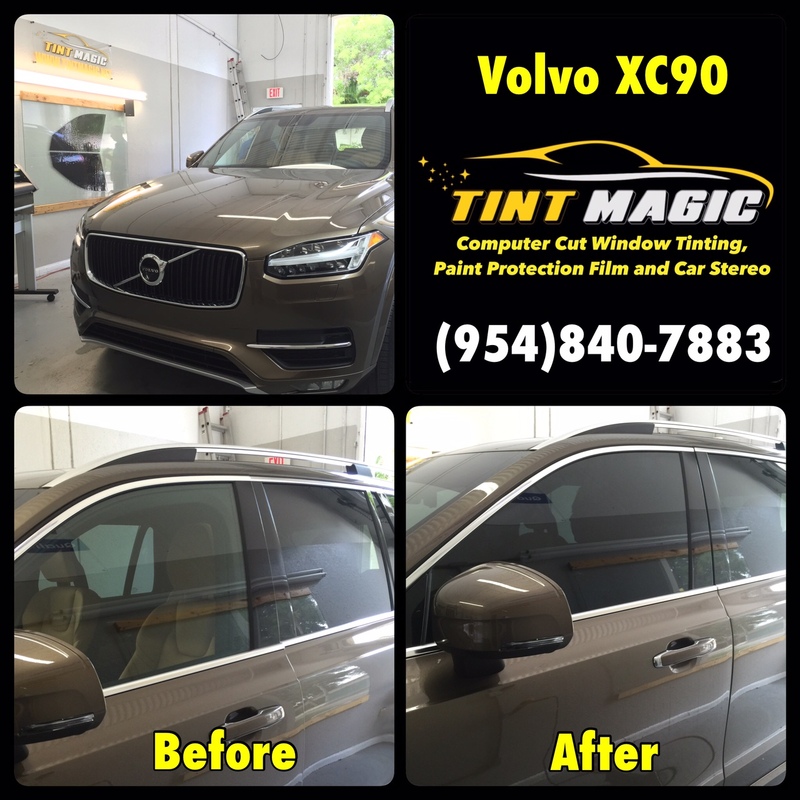 Volvo XC90 at Tint Magic Window Tinting serving Parkland, Coral Springs, Tamarac, Coconut Creek, Deerfield Beach, Lauderhill, Margate, Sunrise, Weston. We installed Suntek CXP 25% over 2 front windows for a closer match with the rear glass windows tinted from factory. Call us for a free estimate! (954)840-7883. The XC90 is a handsome, square-jawed Swede striving to offer more efficiency and safety than its rivals, while adding a dose of Scandinavian flair. Its 2.0-liter four-cylinder uses turbocharging and supercharging to create 316 hp and drives all four wheels through an eight-speed automatic. An 80-hp electric motor joins the party in plug-in hybrid models. There’s room for seven in the handsomely appointed interior, with deeply comfortable seats as well as Sensus, Volvo’s new infotainment system.